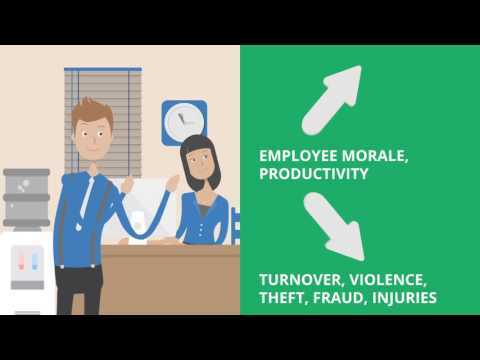 1 out of 4 people is “higher risk” for low productivity, absenteeism, turnover, theft, fraud, violence, accidents, more. In an interview, you can see experience, skills, education, appearance, verbal communication, background check data. You can benchmark ideal score ranges per job type to help predict success – a Sales Rep needs a different profile than a Director of Operations afterall! Better interviews help you make better hiring decisions. We recommend you weigh assessment scores around 25% of your hiring, along with experience, reference and background checks and interview impressions.